Earlier we brought you a list of the Top 5 naked 'sport' bikes in India between INR 1-2 lakh. While we already know that Indian buyers have an affinity towards ‘Supersport’ motorcycles, the fixation continues. Here is a list of Top 5 faired bikes in India between INR 2-4 lakh. The TVS Apache RR 310 is the first product to come out of the TVS-BMW partnership in India. It is also the most affordable offering in this price bracket. The motorcycle uses the frame, engine and suspension from the BMW G 310 R but receives sporty bodywork and an aggressive riding position. The TVS Apache RR 310 uses a 312.2 cc, single-cylinder, reverse-inclined, liquid-cooled engine with fuel injection that is capable of generating 33.52 bhp of maximum power at 9,700 rpm and 27.3 Nm of peak torque at 7,700 rpm. The engine pairs to a six-speed gearbox, while it gets a custom ECU. The Apache RR 310 features inverted front forks and a mono-shock at the back. It also comes equipped with dual-channel ABS as standard. 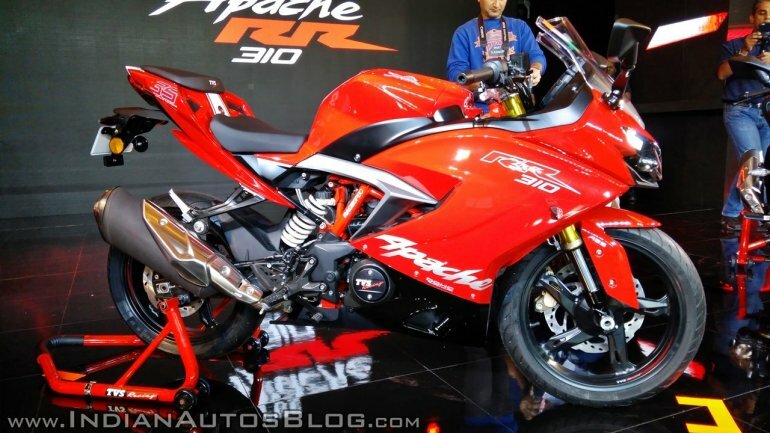 The TVS Apache RR 310 is priced at INR 2.23 lakh (ex-showroom Delhi). While the Apache RR 310’s direct rival is the KTM RC390, it also competes with the Kawasaki Ninja 300. KTM RC 390 at the 2017 Thai Motor Expo. The KTM RC390 is not only the most potent motorcycle but also offers the highest value for money proposition to the Indian buyer. It is the only bike in its segment to come with features like ride by wire throttle and sintered brake pads. Powering the KTM RC390 is a 373.2 cc, liquid-cooled, 4-valve, fuel-injected, single-cylinder motor that is mated to a 6-speed gearbox with a standard slipper clutch. The engine produces 43.5 bhp of maximum power at 9,000 rpm and 36 Nm at 7,000 rpm. 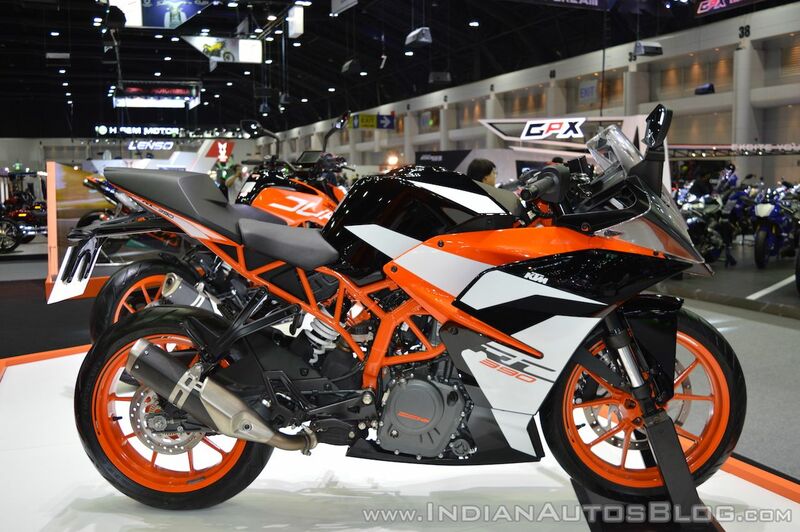 The KTM RC390 costs INR 2.37 lakh (ex-showroom Delhi). The bike rivals the TVS Apache RR 310, Kawasaki Ninja 300 and the Yamaha R3 among others. India Kawasaki Motors took everyone by surprise when they launched the localised ‘Made in India’ version of the Kawasaki Ninja 300, priced at INR 2.98 lakh (ex-showroom Delhi) this year. The motorcycle receives locally manufactured parts like alloy wheels, tyres and body panels, while the engine and chassis are imported from Thailand. The Kawasaki Ninja 300 rivals the KTM RC390, TVS Apache RR 310, Yamaha YZF-R3 and the Benelli 302R. Powering the Kawasaki Ninja 300 is a liquid-cooled, 4-valve, parallel-twin, 296 cc engine that is capable of pumping out a maximum power of 39 PS at 11,000 rpm while developing 27 Nm of peak torque at 10,000 rpm. A 6-speed gearbox with a standard slipper clutch works in sync with the engine. India Yamaha Motor launched the 2018 Yamaha R3 in the country at the Auto Expo 2018 and is currently priced at INR 3.49 lakh (ex-showroom Delhi). Apart from the revised design, the new YZF-R3 gets a BS-IV compliant engine, standard dual-channel ABS and Metzeler Sportec M5 tyres. Powering the 2018 Yamaha R3 is a 321 cc, parallel twin-cylinder, liquid-cooled engine with fuel injection. The 8-valve motor is capable of churning out 42 PS of maximum power at 10,750 rpm while developing a peak torque of 29.6 Nm at 9,000 rpm. A 6-speed transmission transfers control to the wheels via a final chain drive. Suspension components include 41 mm telescopic forks up front and an adjustable mono-shock at the rear. 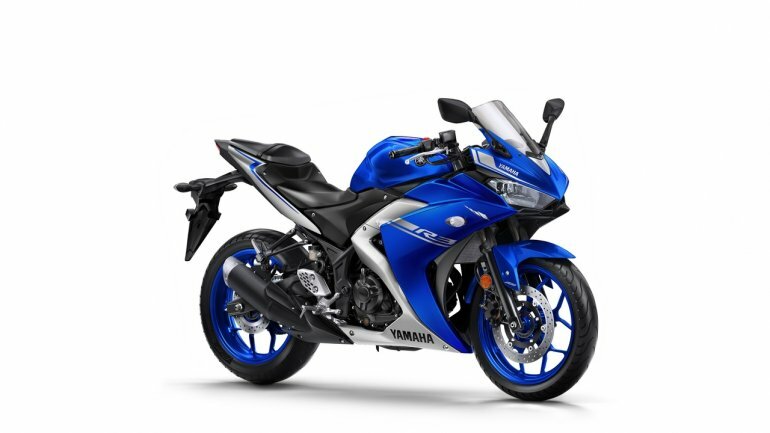 The 2018 Yamaha R3 is available in two colour variants - Magma Black and Racing Blue. The YZF-R3 competes with the Kawasaki Ninja 300, Benelli 302R, and the KTM RC390. 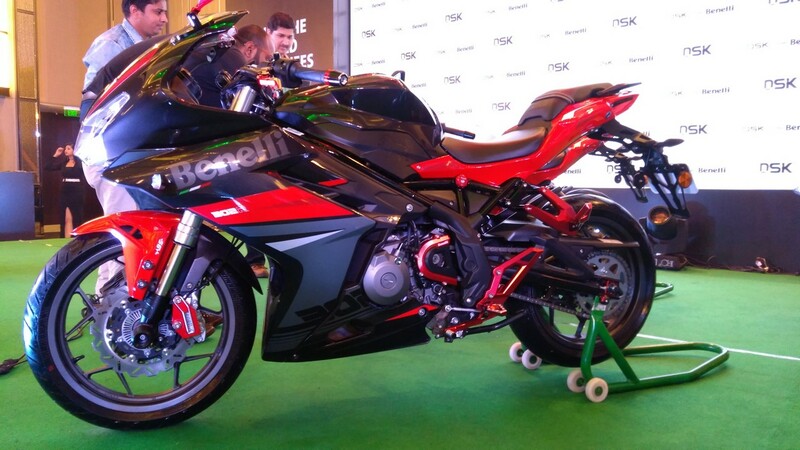 Priced at INR 3.62 lakh (ex-showroom Delhi), the Benelli 302R is the most expensive sports bike in its segment. The motorcycle rivals the likes of the Kawasaki Ninja 300 and the Yamaha R3 among others. It is the only motorcycle in its class to feature dual front disc brakes. The Benelli 302R comes equipped with a standard dual-channel ABS unit, USD front forks and Metzeler Sportec M5 tyres. The 302R sources power from a 300 cc, parallel twin-cylinder, liquid-cooled, 8-valve engine that is capable of developing 38.26 bhp of maximum power at 11,500 rpm along with a peak torque of 26.5 Nm at 10,000 rpm, paired to a six-speed transmission.